Time To Clear the Clutter? There were probably a lot of things you put off in the last couple of months. Once the holidays start, there is no chance to take on major renovation projects around the house. The same could be said for big clean up jobs like moving out all the junk from the garage or closets. Now that the New Year has started and the holidays are behind you, it might be time to clear out the clutter. For that job, you can depend on Junk King Palm Beach. There are some items in your home that are easy to let go of. These could be things like old televisions or computers that have since been upgraded. You could have some busted sporting equipment that nobody uses. There might even be a few pieces of furniture that has seen better days. All of those things can be quickly removed by the Junk King crew. However, when it comes to clearing out your closet or boxes in the garage, you’ll need to devote some time to the sorting. Fortunately, if you hire junk you, then you won’t have to worry about carrying those discard piles down from upstairs. Just leave everything where you drop it and the crew from Junk King will pick it up on the spot. In addition to helping with decluttering the inside of your home, Junk King can also make a huge difference around your yard. Because this is Palm Beach, it’s always good weather. That means you’ll want to maintain your backyard. If you need to cart off a rusty grill or worn out patio furniture, then turn it over to Junk King. One junk removal appointment will take care of everything. Customers who have used Junk King in the past really appreciate how responsible the company is when it comes to disposing of junk. Junk King would like to avoid making trips to a landfill at all costs. That’s why they go out of their way to make drops offs to charities, church thrift stores or recycling facilities. If they can find a new purpose for something, then that is where it belongs as far as Junk King is concerned. 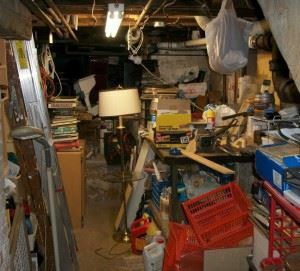 Get the clutter and junk removed from your home with one call to Junk King. You’ll be glad you did. This entry was posted in junk removal and tagged clutter, Junk King, junk removal on January 24, 2016 by Dave Archer. Last updated August 11, 2017 . Enjoying a junk free home can be difficult when you try to do it on your own. It is not possible for a single person to clear large junk on their own. It is not recommended either because an untrained individual might get hurt in doing so. The best thing to do in such a scenario is to hire professional household junk removal services in Palm Beach, Florida. We at Junk King are proud to say that we have emerged as a winning team for home junk removal in Palm Beach with our constant efforts to keep households clutter free. We have gained immense reputation because of our trained teams and sophisticated equipment. All services are provided on time because we understand that time is of the essence. Residential junk removal is something we have been doing for a long time now. We are experienced in clearing backyards, garages and attics easily. We can take away all your junk—right from mattresses and furniture to old electronic units and sanitary ware. We do our job without disturbing anything else in your household. We also clean the mess if we create any after ourselves. This entry was posted in Uncategorized on January 23, 2016 by Dave Archer. Last updated July 31, 2017 .